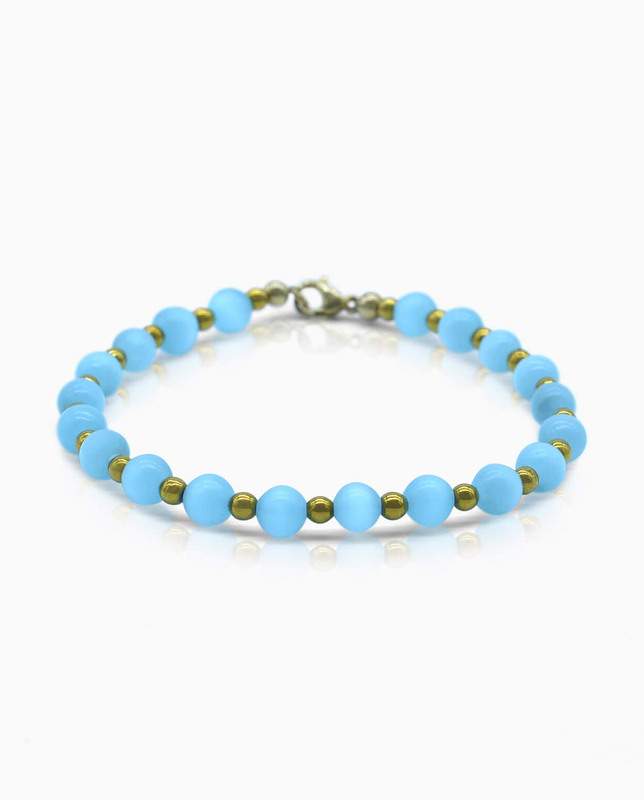 This minimalist sky blue cat eye gemstone bracelet with 18kt. 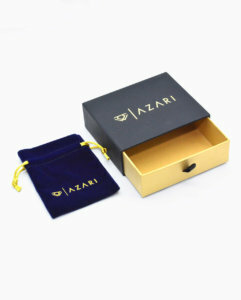 gold finish beads is for the everyday fashionable woman who likes to add a subtle but classy look to her outfits. 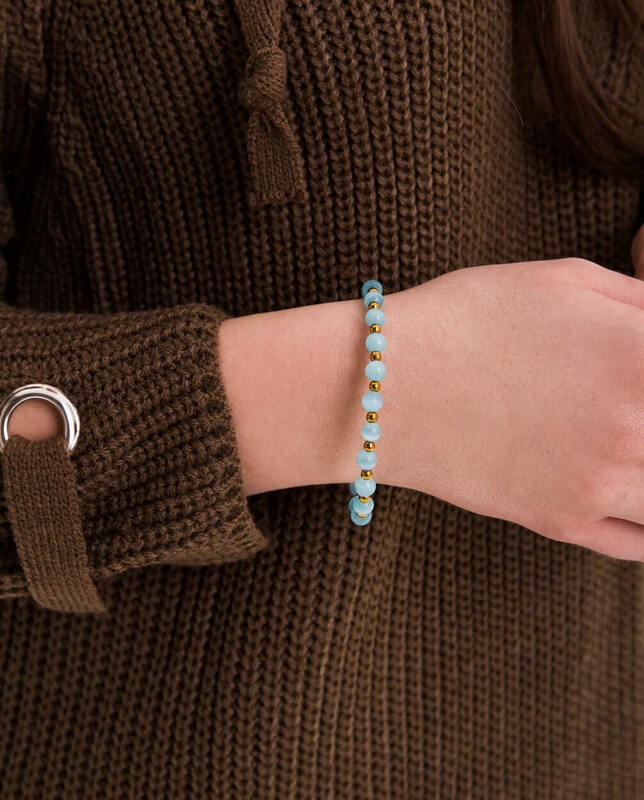 Inspired by the strength and will of the gracious modern woman, this delicate women’s beaded bracelet has been hand crafted by with meticulous attention to detail. This minimalist bracelet for women with sky blue cat eye gemstone and 18kt. gold plated beads is the perfect Gift for her. 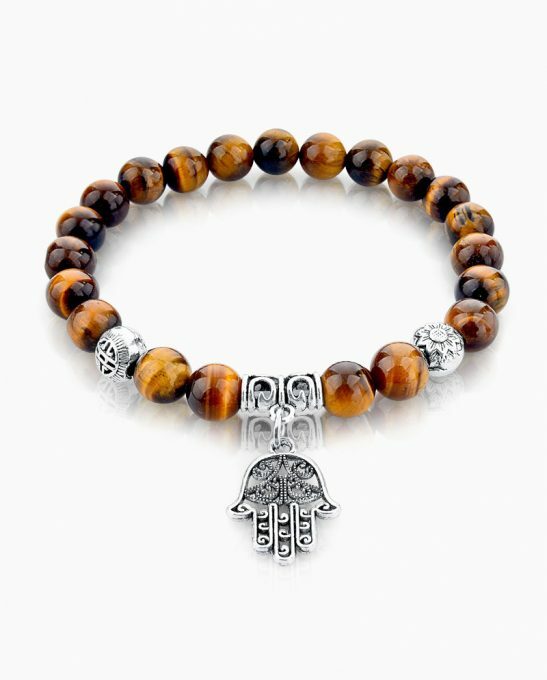 It’s no surprise why the Azari sky blue cat eye gemstone bead bracelet is one of our most popular classic pieces. 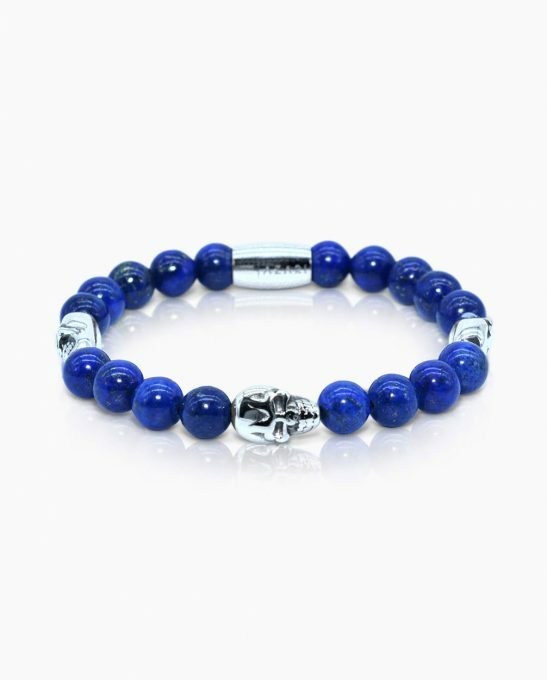 The exquisite blue cat eye gemstone bracelet coupled with the 18kt. 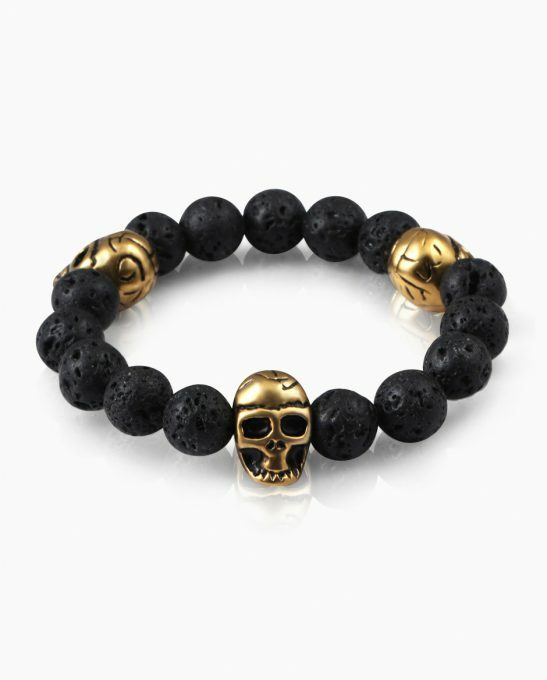 gold finish beads separating the natural stones makes this the perfect everyday essential. 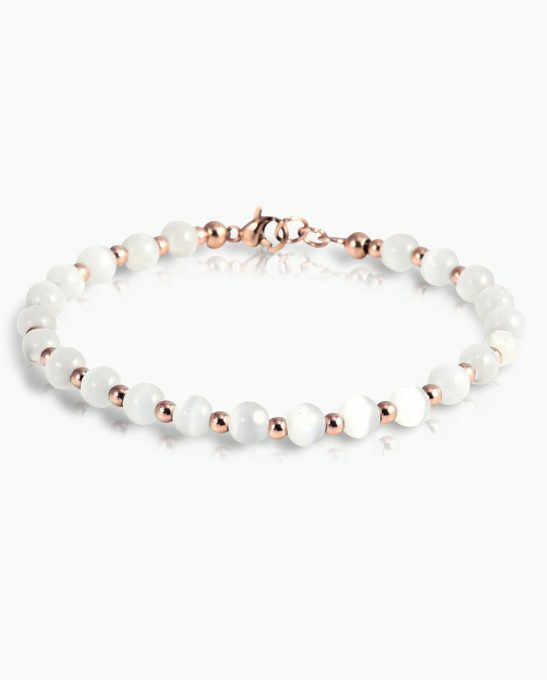 The blue cat eye gemstone bracelet for women is so delicate and feminine that it brings out any outfit you can throw on it. It is an absolute essential for your wardrobe as you can switch it from formal to casual outfits.